The company unveils a smaller pixel pitch for LED product line, while showcasing an 8K video wall along with an innovative studio solution. At the 2019 National Association of Broadcasters (NAB) Show, Leyard and Planar announced the addition of a new fine pixel pitch model to its popular Leyard TVF Series, offering the broadcast industry exceptionally sharp, clear display images —even at close-up viewing distances. In addition to the Leyard TVF Series, the company will showcase the next-generation Leyard DirectLight X LED Video Wall System, an award-winning fine pitch LED video wall system line with built-in processing. Featuring the off-board Leyard Video Controller, Leyard DirectLight X is the industry’s first LED video wall solution to embed advanced video processing directly into the product. Available in 0.7, 0.9, 1.2, 1.5 and 1.8 millimeter pixel pitches, Leyard DirectLight X includes a wall mount, full front service access, a mission-critical design for 24x7 reliability and modern, web-based control and management software. 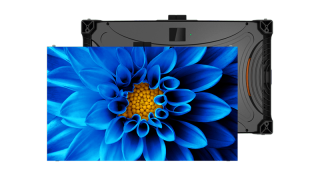 Visitors to the Leyard and Planar booth at NAB 2019 will also have the opportunity to experience a cutting-edge 8K LED video wall. The 24-feet-wide by 14-feet-tall video wall, composed of Leyard TWA Series 0.9 millimeter pixel pitch LED video wall displays, demonstrates how the media and entertainment industry can bring video and images to life with spectacular realism. Visitors to NAB 2019 can view these and other innovations at the Leyard and Planar Booth #SL9016. Leyard and Planar display solutions are available through the company’s global network of authorized resellers.